WAS £16.95; NOW £6.95; SAVE £10.00!Keep your garden folding chair protected from adverse weather conditions with this superb, non-tear cover. Top quality P.V.C. backed polyester. U.V. stabilised against the sun. Wipe clean surface. 100% waterproof.  Cover width 66cm (26″), depth 50cm (20″), height 90cm (36″). ONLY 1 LEFT. 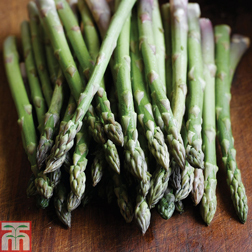 Autumn planting.From German breeding, Asparagus ‘Ariane’ produces a heavy flush of delicious, large, purple-tipped spears early in the season. Smaller, ‘fine’ spears are also produced later in the season. This attractive variety has significant yield and quality improvements over many other varieties. Height: 150cm (59in). Spread: 45cm (18″). Garden Centre Direct sell everything for a great garden. Their range of sheds is excellent and if you’re looking for a small shed for a quiet corner in your garden then they have the excellent Billy-o range. Their range of sizes of sheds is amazing! WAS £168.90, NOW £118.90, SAVE £50.00!COVER – Open-top water tanks are not always practical (eg if you have inquisitive children) and can allow leaves and dirt into the tank. These attractive, specially designed covers are made from weather and water-resistant beech for long life, have a hinged lid to allow easy access, ensuring your tank is always clean and safe. TANK – Don’t let your valuable rainwater simply drain away – capture and store it! This high quality wooden rain water storage tank is a particularly attractive means of doing just that. The wooden slats are high-pressure impregnated with preservative for ultimate protection. The wooden construction also protects the tough moulded liner and keeps it in a perfect round shape, and there’s no risk of damage from snow or ice in winter. No base tap, so use a pump or simply dip your can! A rain trap pipe can be fitted through the lid or simply fed over the rim. Flat packed for easy home-assembly. 420 litre 88cm [34″] high x 82cm [32″] diameter. The perfect companion to a sprinkler or drip watering system, this electronic water timer couldn’t be easier to set. Press the green button to start the watering cycle, then the red button when watering is sufficient (up to 1 hour later). The timer automatically stores this watering duration and repeats it at the same time every day! An LED indicates all operations and can also be used in combination with the red and green buttons to set a custom programme without waiting for the watering cycle to end. Operates on one 9v battery (not included) that will last all season. Just turn the handle and it peels, cores and slices the apples. 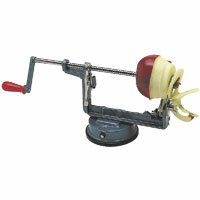 This Apple Peeler, Corer and Slicer makes short work of sorting out your apple harvest! Aim for total processing in under 15 seconds per apple. What better way is there to encourage you and your family to enjoy an apple a day? Even better, there’s no machine noise and you can really get going preparing apples for pies, apple sauce and for freezing or dehydrating. You can even use it to peel pears and potatoes, provided they are more round than knobbly. Stainless steel with rubber base and screw clamp fixing. Wiggly Wigglers is a natural gardening company based on Lower Blakemere Farm in Herefordshire. This is a real dream of a shop! Tons of excellent stuff to make your garden perfect. Composting help and advice from real experts including wormery kits for food waste! Reduce the amount you send to landfill by composting food at home either in a compost bin or a wormery.